Having lived in France and the United Kingdom, he has gained extensive experience leading groups in the mountains of Britain and the European Alps in all seasons. In addition to his experience in the outdoors, Bruce has spent over 15 years working with international companies in human resources and corporate education. Duncan has spent many years working in the Corporate Security & Surveillance industry in Australia, UK, Europe and former Eastern European countries. He has a degree in Business Management and Computer Programming. 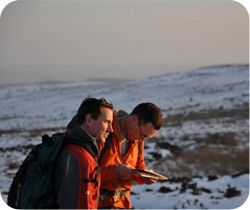 Duncan’s passion for the mountain environment motivated him to qualify as a International Mountain Leader. He has wide-ranging experience trekking and camping in some of the most stunning and remote areas of Australia, UK, Canada and the European Alps.